If you own a company and look for a simple expense report form for yourself and all your employees, then use our specifically dedicated form. It is a nice and professional Expense Report template for recording travel expenses. This is a very useful form that looks good and that you can modify to your wishes. You can add your company Logo in it. It allows you to enter Cost Center and Account numbers in order to track perfectly what the expense is and to which account it has to be credited. You can enter any cash advance that was given before the travel. It also has an dedicated sheet for international or local travel expenses. Look at the screenshot. Download is at the bottom of the page. or here from near...you can see how to select the account or the cost center. Here the international template. 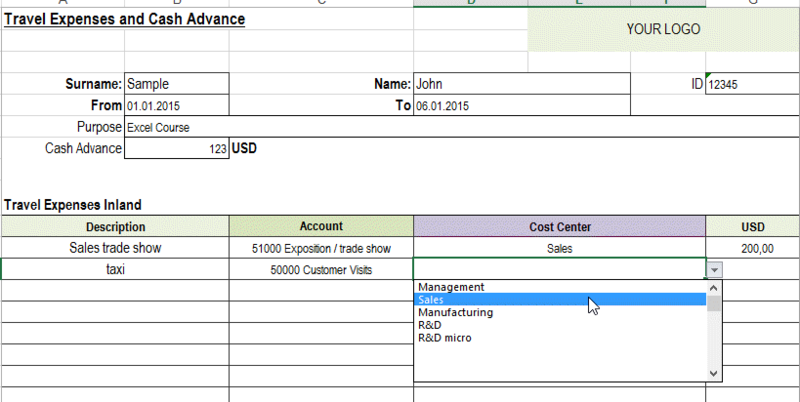 Look at the bottom the color coding for the cost center and accounts. You can add your own Accounts and Cost Centers. 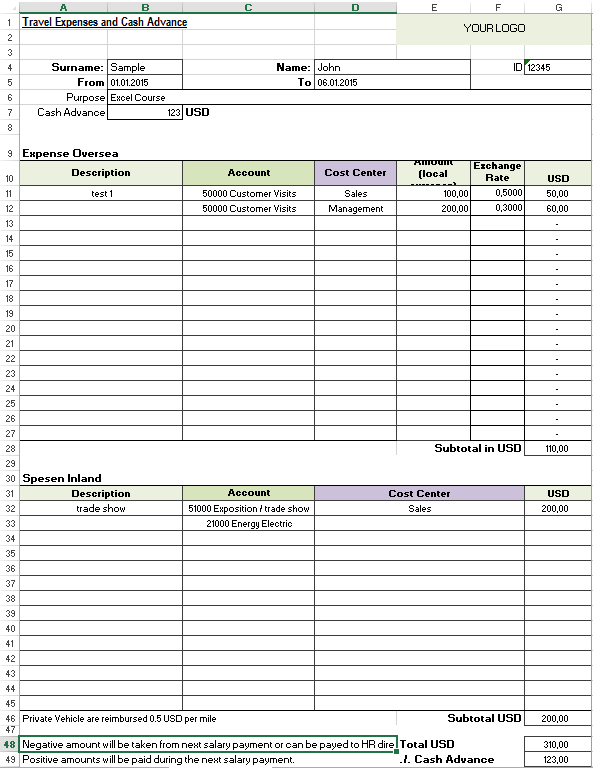 Using this purchase order free template, you can then modify it at will. It is totally free to use. You can download the purchase order form here. 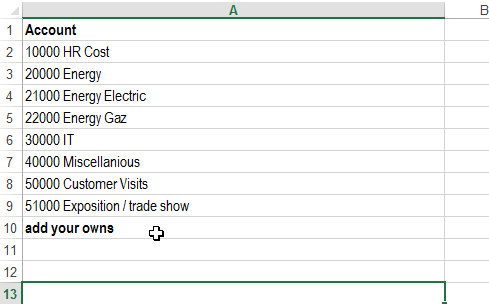 For older Excel Versions take this template for this purchase order sample template. We hope that this template will help you. Two of our successful templates are the purchase order and the invoice.